I love when the UPS man comes to deliver a fresh new album. I think no wedding is complete without a beautiful album to tell the store of the day. Fernanda and Jorge ordered a 12x12 Virgin White Kiss Album and maaaaan is it hott!! 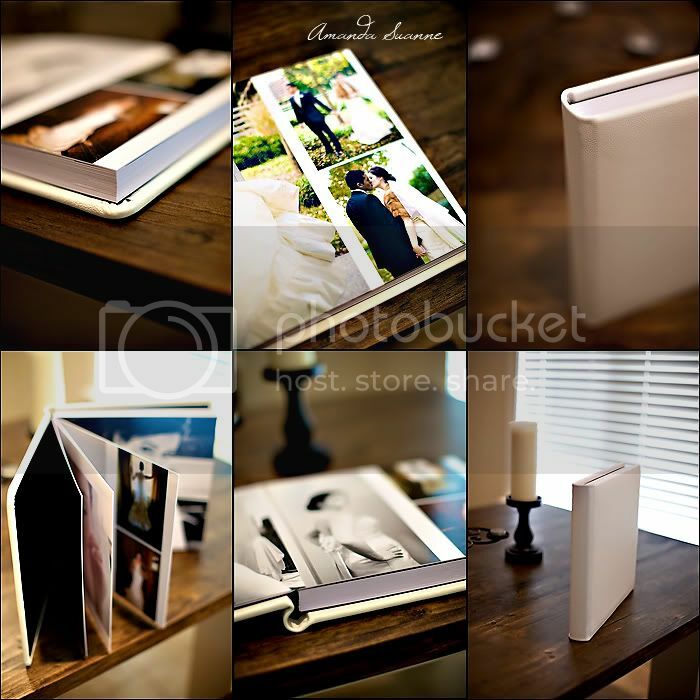 Enjoy some quick photos I snapped before shipping it off to the bride and groom :) Off to shoot a wedding! Have a beautiful day! Hi Amanda! That is so beautiful! I just ordered two albums and some little kisses this weekend and can't wait! Smouldering Brown! Love the white! so classy. Oh, it's GORGEOUS! Girl, I am so proud of you and the gift that God has given you!!! I LOVE the 12x12's! Currently I'm using the 8x8 books but seeing yours, I might just have to upgrade! I just got in a green little KISS and a pink KISS and they blew me away. It's such a great product! That white is gorgeous!